Brian qualified as a psychiatric nurse before leaving the NHS in 1994 to manage a community mental health project. Since then he has worked in a number of management roles in the care sector, having both a clinical and business management remit. He has also worked as an Inspector with the National Care Standards Commission (a forerunner of the Care Quality Commission) and most recently as a training consultant with Bournemouth Borough Council. 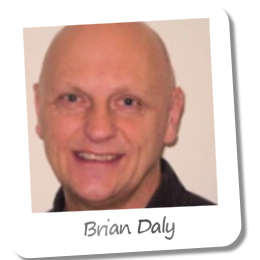 Most of Brian's professional experience has involved an element of staff training and development, an area he has developed as a freelance with the formation of his Closing the Gap agency in 2005. Brian is a keen advocate of short, intensive training. He likes to focus courses toward the needs of front-line staff based on real-world issues and real service users. Hence 'Closing the Gap'! He has worked with JCK Training for a number of years and specialises in Dementia and Challenging Behaviour. Brian will be primarily responsible for our Mental Capacity Act and Deprivation of Liberty Safeguards courses in the South of England. Details are coming soon. Outside of work Brian is a husband and a Dad, and likes racing old cars, renovating cars and well ... anything to do with cars!